You asked for it, we delivered!! 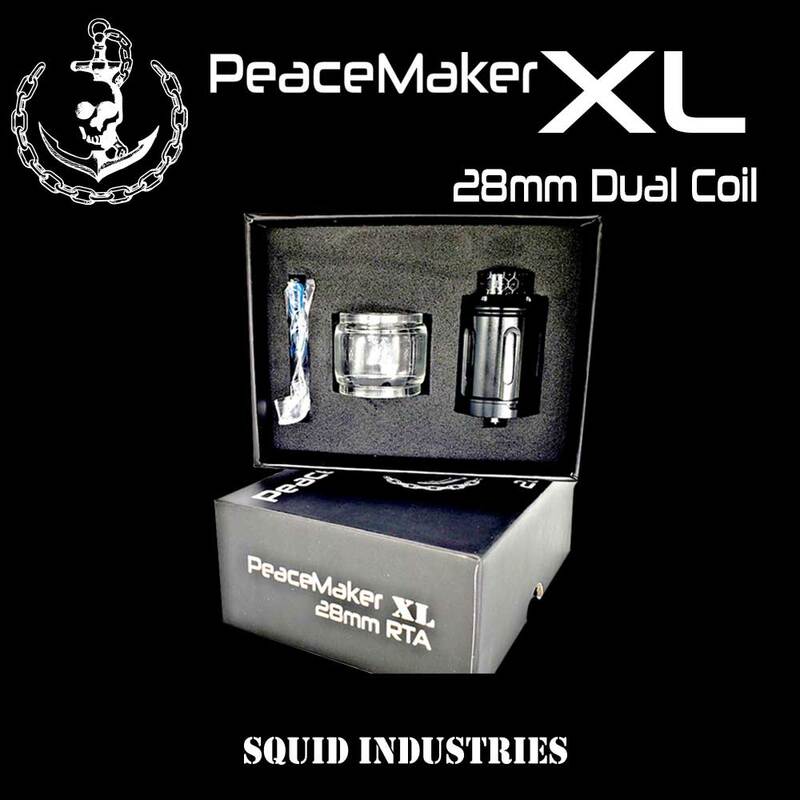 The PeaceMaker RTA!!! 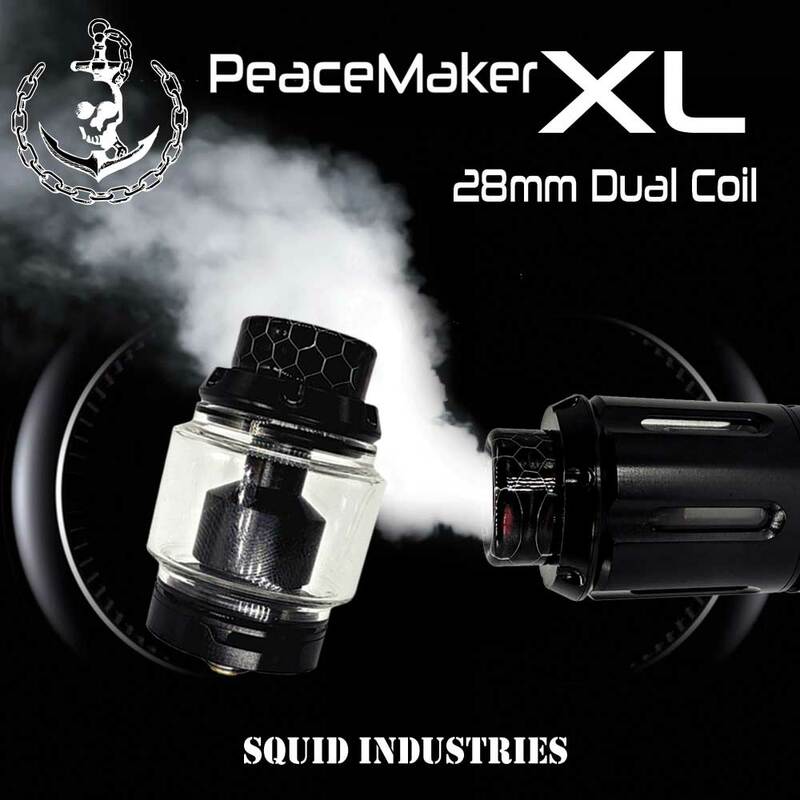 This dual coil cloud chucker is sitting right at 28mm, making it the perfect rebuildable tank for the TAC 21, or any regulated mod that accommodates 28mm. Smooth air flow, carefully machined, and easy to build, all for under $50! As you've seen with the rest of our product line, we are focused on innovation. 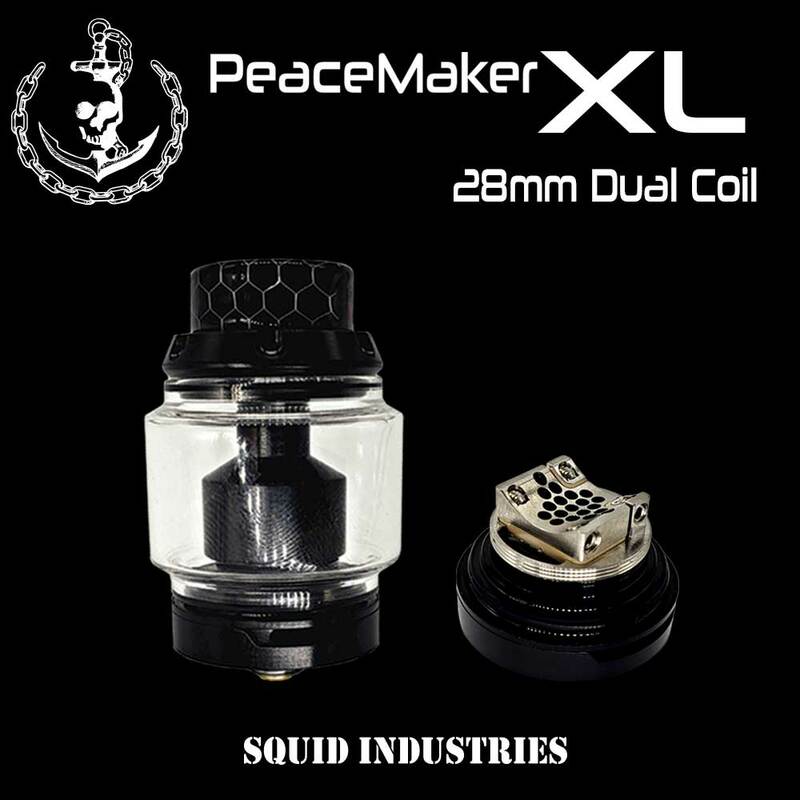 The steel cage fused with acrylic tank makes this tank virtually impossible to break. Its as tough as it looks!